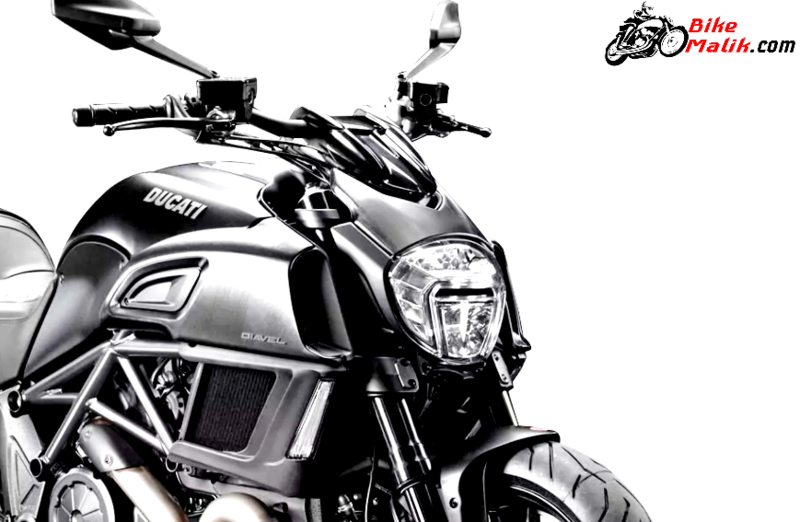 Ducati Diavel is the dynamic and rugged tourer that spell-bounds the auto enthusiasts to the extent. 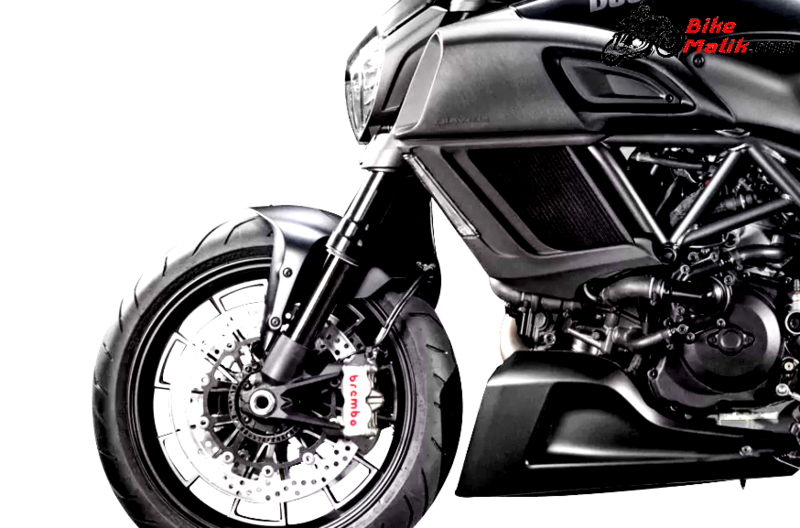 Ducati Diavel is all set to cruise the Indian roads with all the blaze. This out & out perfect tourer with reasonable cost allures the Indian market in minimal time. Being a most prestigious tourer in the Ducati lineup, it draws all the power from a 1,198.4cc, Testastretta 11° L-twin, liquid-cooled engine that churns out a maximum power of 162bhp @ 9250rpm with a peak torque of 130.5 Nm @ 8000rpm. The transmission duties are carried by a 6-speed gearbox connected to a wet multi-plate slipper clutch arrangement. 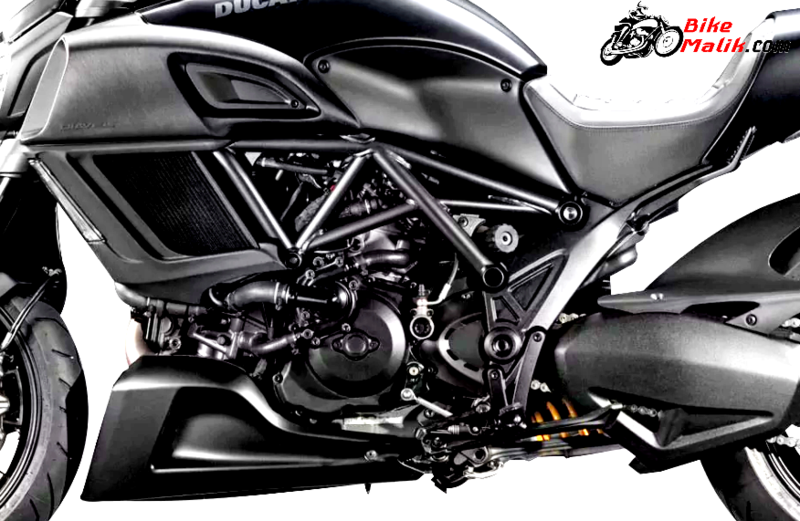 With the mighty engine setup, Ducati Diavel returns a fuel figure of 10 km/l (Company Claimed). For improved performance & fuel efficiency, it gets a wire controlled electronic fuel injection supply system. This hardware setup sprints the bike forward without any disrupts & flaws. 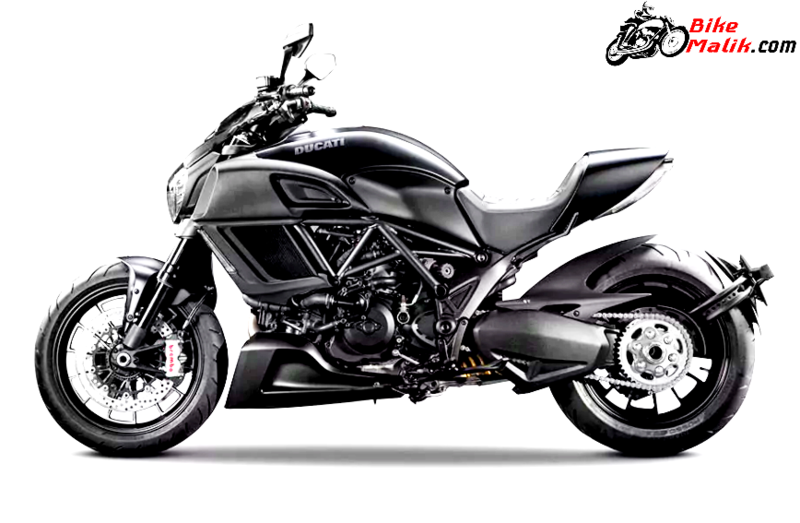 Ducati Diavel carries splendid looks with aesthetic culture, where other models frighten to compete with. As said, the front of the bike gets a full LED headlamp unit with two vertical positioning lights that even more elevates the bike stance. 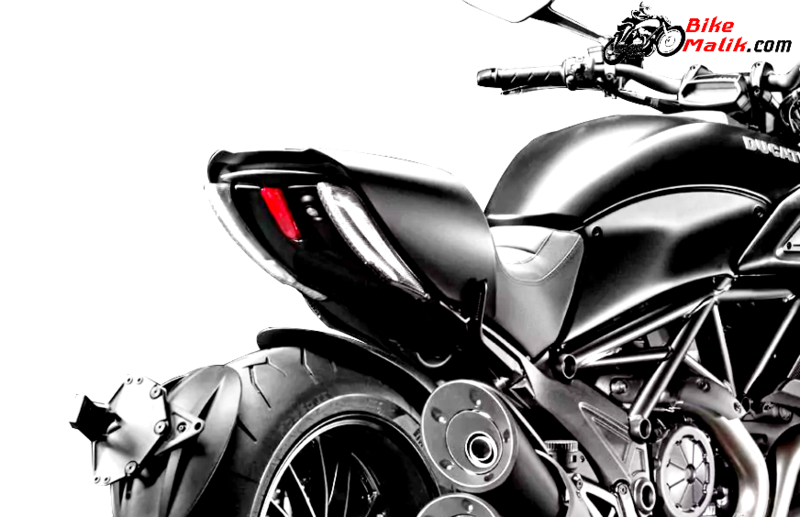 This all-black theme with sharp styling curves adds lavish appearance to the bike. The tubular steel trellis chassis is the base of the bike, which not only appears muscular but also bears well in unexpected situations. The 1580 mm of wheelbase offers provides good driving capabilities of the bike. The strongly built 17- liters fuel tank along with shrouds, exhibits macho stance of the bike. 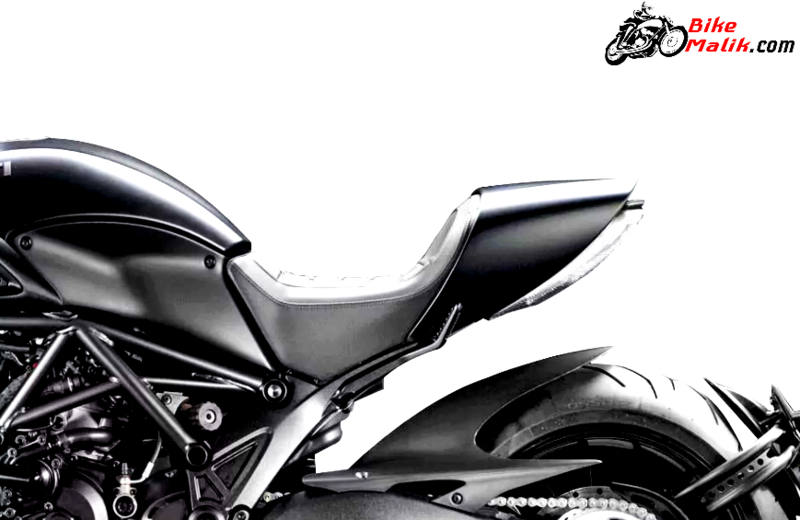 As of the rear profile, it gets a sporty seat, which gives all the comfort to the rider & pillion. 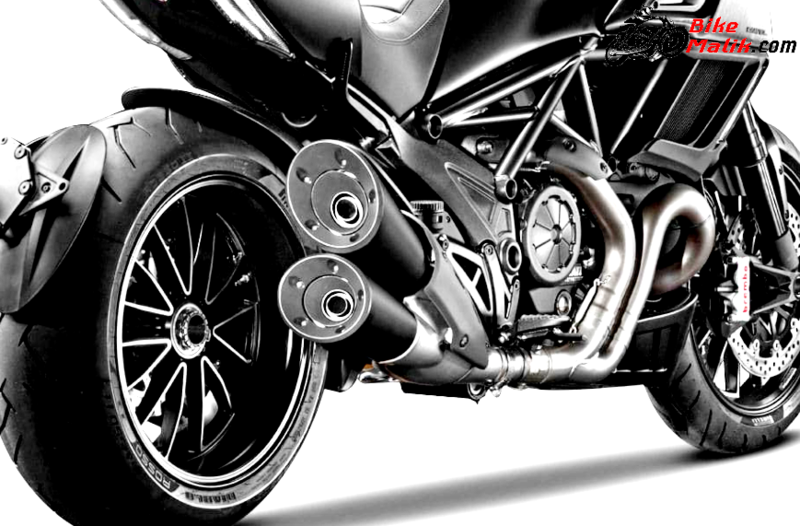 The stainless steel muffler gives pleasant look to the bike. The 239 kg of kerb weight feels somewhat heavier to the biker, but it’s not an issue anymore. 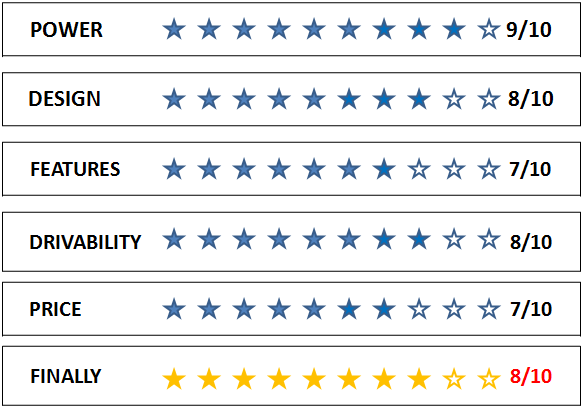 The instrumental cluster shows the significant information of the bike in two segments (first on the fuel tank and another one is on the handlebar). As said, the first segment of the cluster displays about the selected driving mode. While the handlebar part displays digital speedometer, tachometer, trip meter, air temperature, coolant temperature and fuel gauge. The driving dynamics of the bike are the most talkative aspect of the bike. The Pirelli DiabloRosso II, 120/70-ZR17 front, and 240/45-ZR17 rear tyres, ensures better riding conditions for the biker even on wet roads. Hence, the driving made under all-weather conditions is easy to the biker. There is no stress to the biker with the incorporation of reputed Marzocchi fully adjustable 50mm upside down forks at the front and fully adjustable mono shock with progressive linkage at the rear. The maneuvering of the bike is very easy with the overcome of potholes, bumps etc. 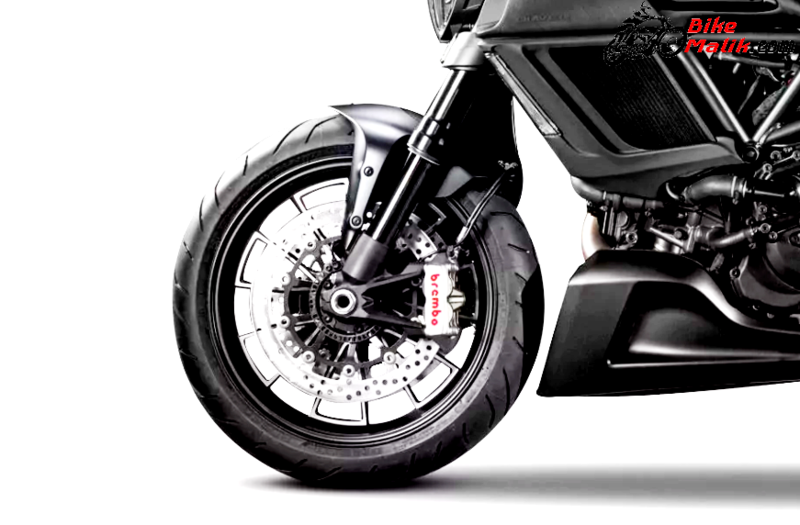 The speed of the bike is stoppable with the employment of 320mm dual disc brakes with Brembo four-piston caliper at the front and 265mm single disc brake with a twin-piston caliper at the rear, which works efficiently to facilitate rider & pillion with hassle-free comfort. 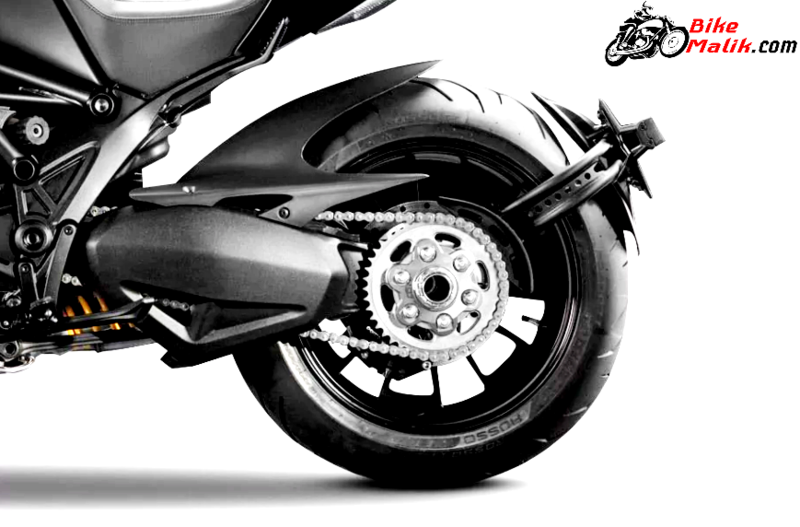 While the ABS (Anti-lock Braking System) comes as a standard option to give further assistance to the biker. 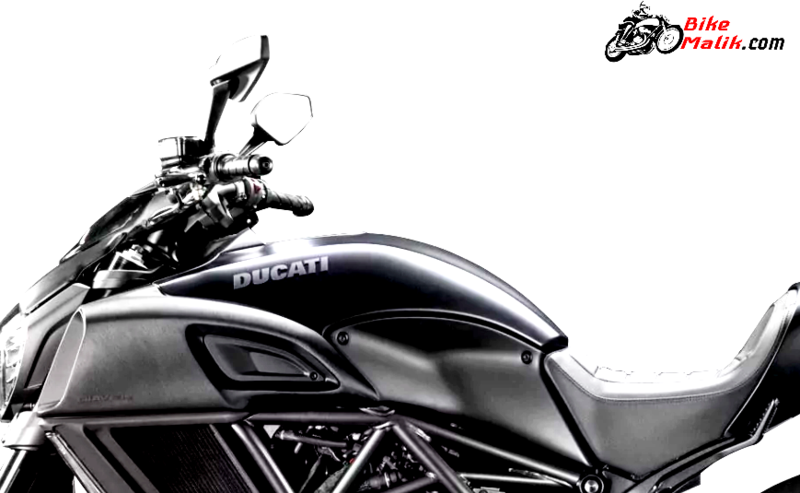 The Ducati Traction Control (DTC) system comes as a safety feature, which gives commands to the engine accordingly to stop the bike at the acquired time. The three riding modes; Sport, Touring, and Urban gives an absolute performance with the appropriate selection of riding modes based on the terrains. 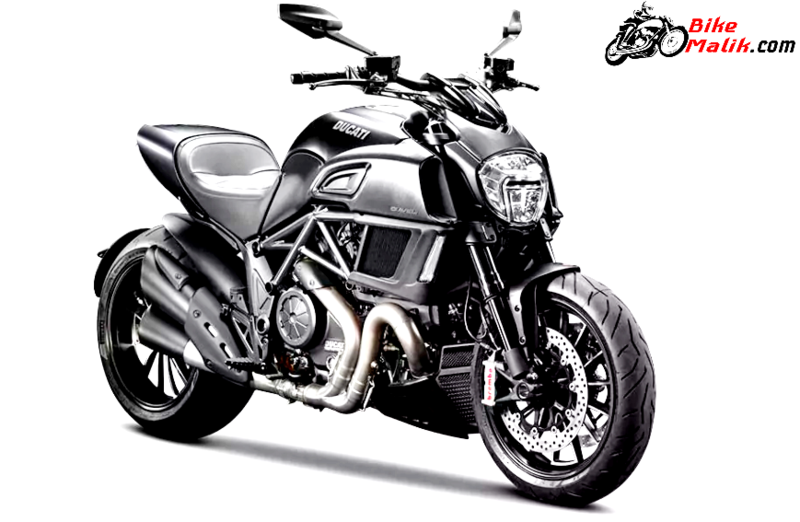 Ducati Diavel comes available in 2-variants; STD, Carbon. These two variants get priced at a start range of INR17,96,797 (ex-showroom, Delhi). 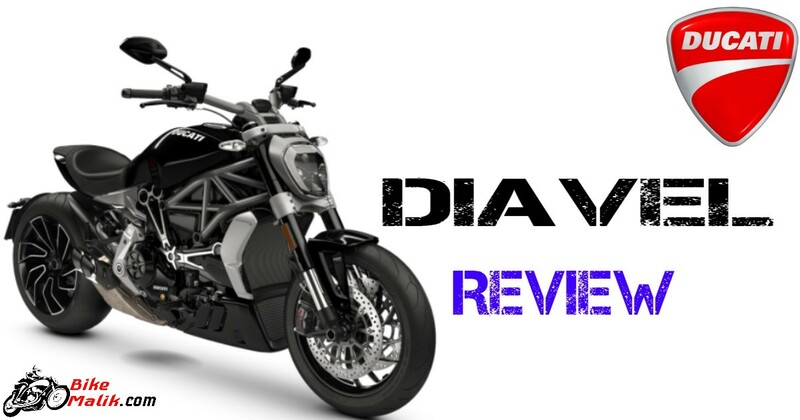 It is that much easy to describe the artistry of the Ducati Diavel. kudos to the workmanship of the bikemaker for sculpting such a magnificent model that gives almost equal comfort and performance like the top-class cars.